So if you ever wondered just how fast we puny humans can make things go, it turns out that right now something around 430,000 miles per hour is our peak achievement. That’s the projected speed of the Parker Solar Probe which will be launching tomorrow morning, just a few hours from now. I have more reading to do to come up with a more substantial post on the probe, but I hope to put something together tomorrow so you can get learned. 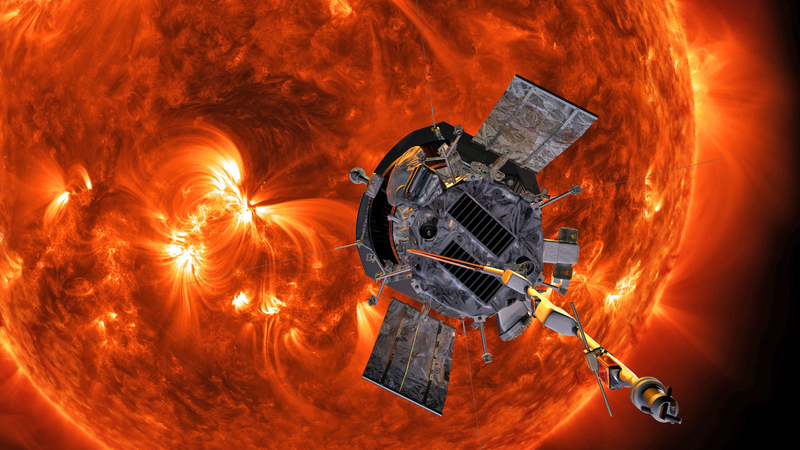 Just know that this probe is going towards the sun to study solar winds so we can learn how to better prepare for them in the future. (Image stolen from the Engadget article to which this news item is linked). The spacecraft will also reach speeds up to 430,000 mph, making it the fastest-ever human-made object. That’s nowhere near fast enough to reach Alpha Centauri within our lifetime — it has to travel around 7,000 years to reach the star closest to our sun — but fast enough to get from Philadelphia to DC in a second.